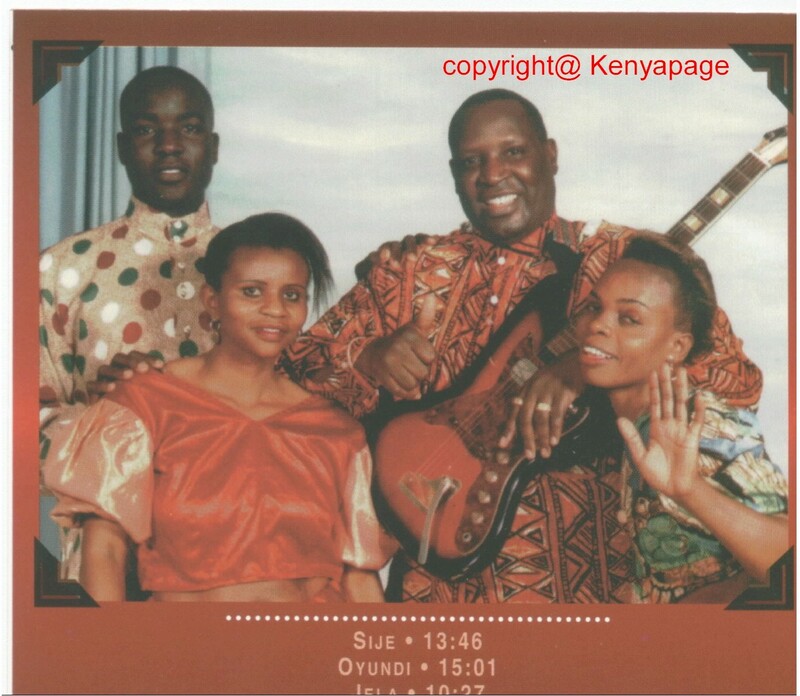 Hadjoullas Nyapanji Ochieng Ogolla , known to most as Ochieng kabaselleh or Kalle wuod Ogola, was for at least two decades, one of Kenya’s most reknown and succesful musicians. For two decades He thrilled music fans from all over the country with excellent compostions and superb arrangements mirroring those of the Late Franco Luambo Makiadi. In fact His arrangements were so excellent that one would argue that If He were a Zairean , he would have ranked among the best on the continent. . His songs are a unique version of benga with smooth guitars, ringing horns and swingining percussion, augmented by Kabaselleh’s voice which varies between baritone and bass. He recorded his first hit at age fifteen while a secondary school student at Pumwani secondary. It was one of the pioneers of Kenyan music, Daudi kabaka, who gave Kabasselleh his first chance. Kabaka was at one time Kabaselleh’s neighbour and was intrigued by his musical ability. he arranged for kabaselleh to record with the Equator sound band. He later founded his own band which he named Lunna Kidi. It was then that his popularity skyrocketed as He released hit after hit , among them Zainabu, Achi Maria, Sije, Millicento, Sikul agulu and Piny Dunia Mokili, among others. Most of his songs were in dholuo. Although most of them were love songs , He songs touched on a myriad of other topics. In Sije he talks about descent Human relations that transcend hard times, In Hommage A Owino ger , he Eulogises a lawyer friend of his. Some of his songs covered politics. His brief stint in prison was as a result of the lyrics in one of his songs which did not please the powers that be. Besides his excellent command of dholuo, Kabaselleh has also sang in Kiswahili and Lingala. This entry was posted in African musicians and tagged benga, Dholuo music. Bookmark the permalink. plz tel me exactly y Wuod Ogolla was jailled n abt this friend who stole his music. Pls I wanna know he was jailed. Pls I wanna know why luna kidi was jailed.